We are all busy right? So busy. 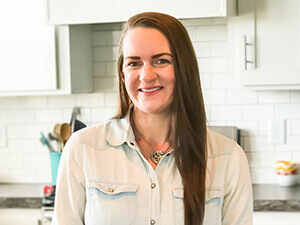 Well, here is another EASY dinner for ya. Hamburger Steaks and Gravy. Once I made these the first time I quickly put them into our “easy dinner” rotation for the nights when I don’t want to think about dinner. These are a hit with everyone and even great on a bun! What do you think? I mean I don’t know about you but sauteed onions are one of my favorite things to eat ever. I don’t know what it is about them. They are just so good. Add in a little brown gravy and some juicy flavorful hamburger steaks as well? Well, yes, please, and thank you. 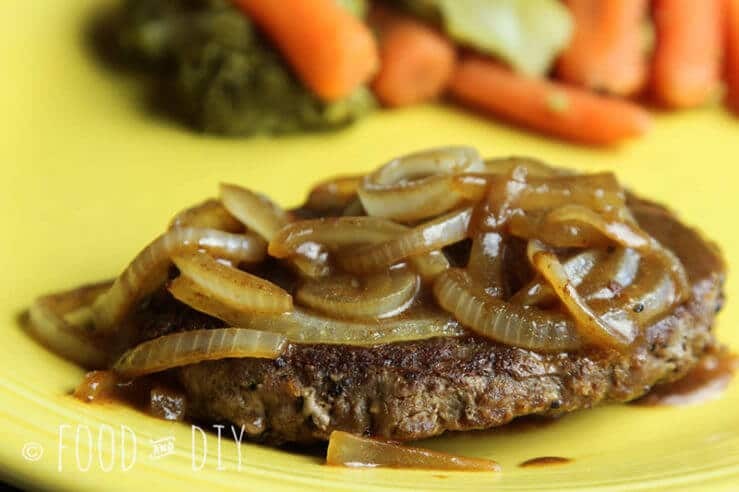 These Hamburger Steaks with Brown Gravy and Onions are really very easy to make. Especially if you cheat a little and buy the prepackaged hamburger steaks. It’s not really cheating though. Because that just adds to the time saving-ness of this recipe. Ok, enough gabbing. Here’s what ya do. Here’s a video if you want to watch. If not, keep on scrollin’ you’ll find the photos. First, you need some salt & pepper. Next, you need some hamburger patties, prepackaged or patty them babies up yourself. Then, you need to salt and pepper said patties. You want to add some garlic salt too? Go for it! I add garlic salt to everything. 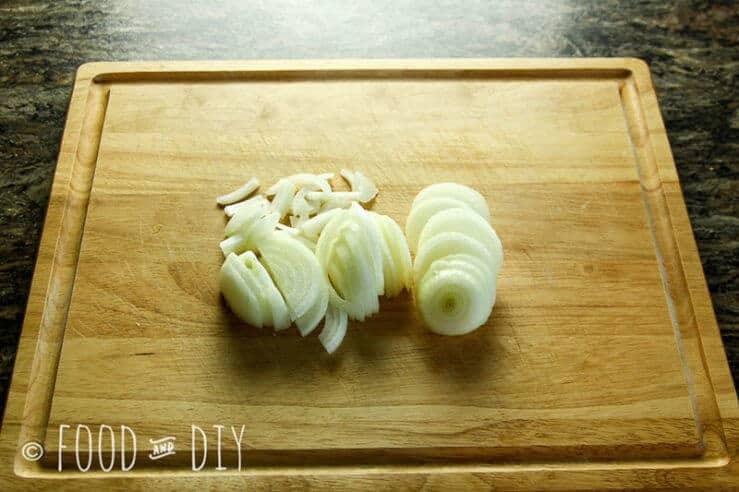 You also need to slice up a couple onions. Now that the patties are ready, heat a large (mine’s a 14″) skillet on medium to high heat. Drizzle a bit of oil in there. Wait until it’s hot to add the patties. Lookin’ good! 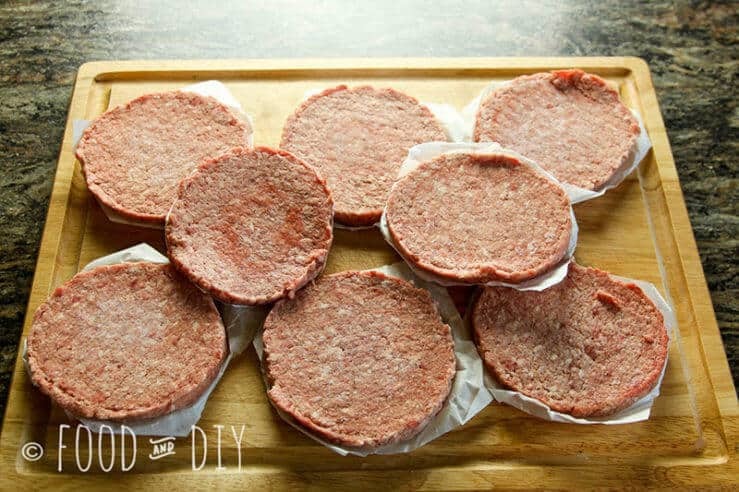 Now try to only flip the patties once. I don’t know why, that’s just what I do. Does flipping the patties a bunch make them tough or something? Why is that rule in place? 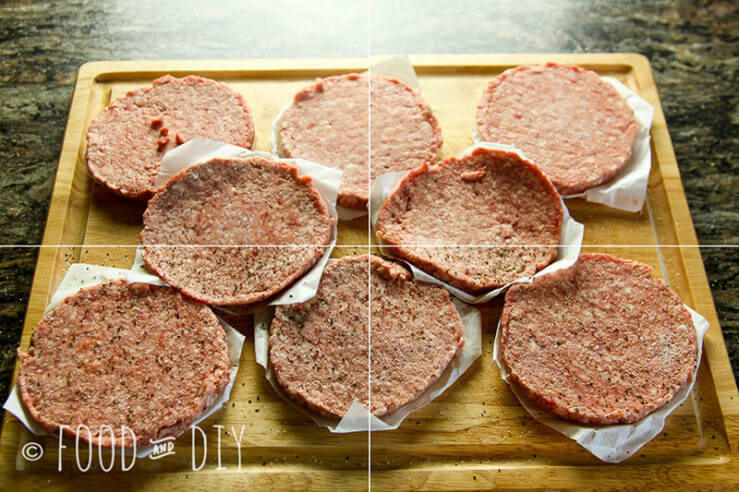 Anyway, once the patties are nicely browned on both sides, and no pink/reddish juices are leaking out of them, remove them from the pan. Leave the browned bits in the pan! And add the onions. Toss them around until they are nice and tender. Push the onions to the sides of the pan, and add the patties back in. Cover the patties with those delicious onions. Now, somewhere in all that make yourself some brown gravy. Don’t be under any illusions that I make that stuff from scratch. 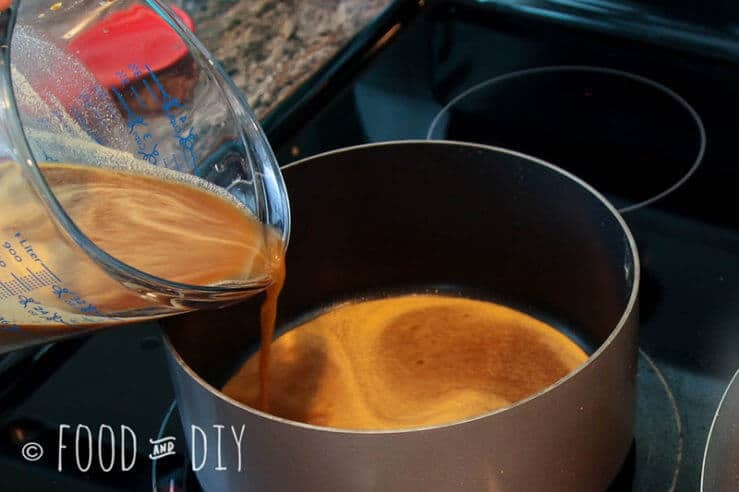 I don’t even know where to begin to make brown gravy from scratch. 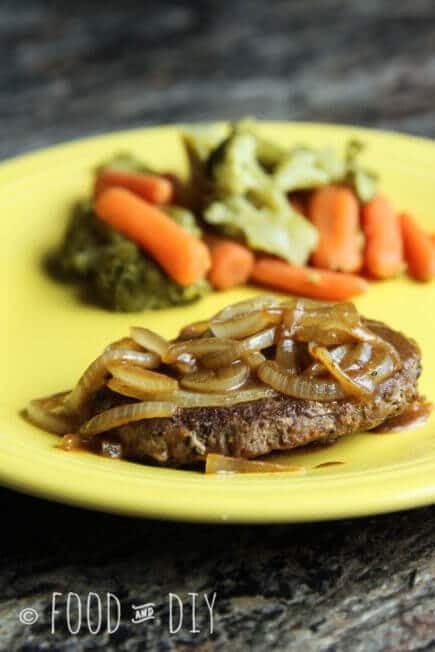 It’s alright if the gravy has to sit a little bit while the onions and hamburger steaks cook. Just be sure to cover it and remove from heat once it’s done. I mean, does this just make you want to run to the kitchen right now or what? No? well, I’m not sure what to say to you. Serve with roasted veggies or even on a hamburger bun. DELISH! Do you love hamburger steaks and gravy? Tell me what you think in the comments below ↓. 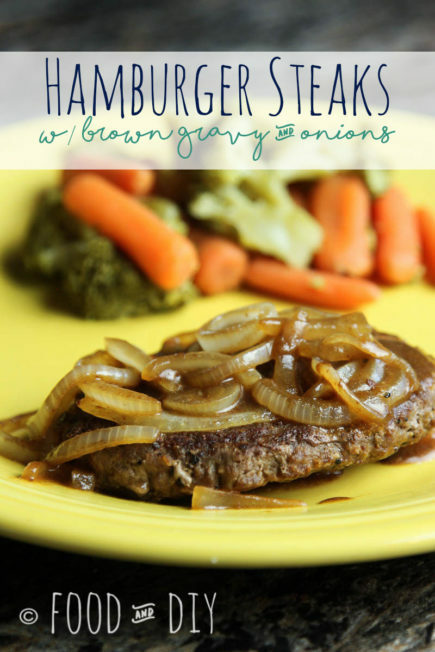 These Hamburger Steaks and Gravy with Sautéed Onions is one of the easiest dinners ever! Throw some veggies in the oven to roast and you've got a good dinner! Salt and pepper your patties. Heat skillet at medium/high heat, drizzle a little bit of oil. 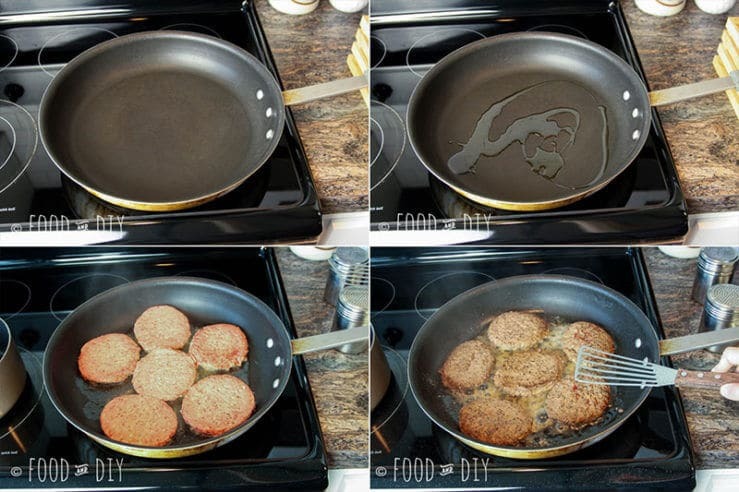 Cook the patties until no red or pink juices flow, remove from skillet. 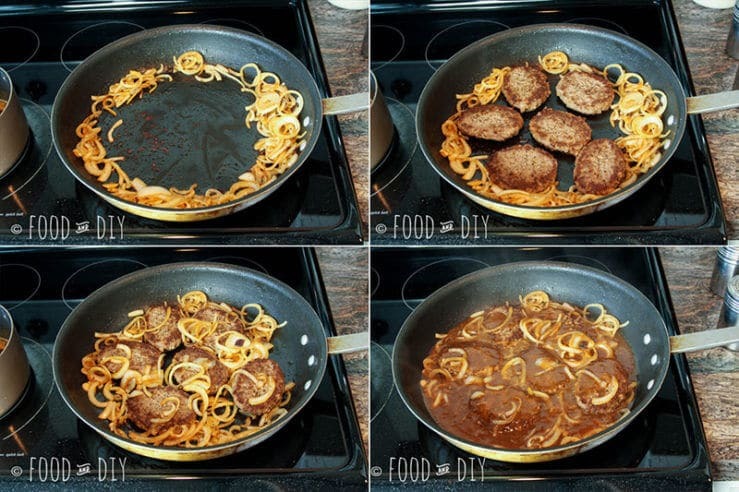 Leave the browned bits and add the sliced onions. Cook the onions until they are nice and tender. 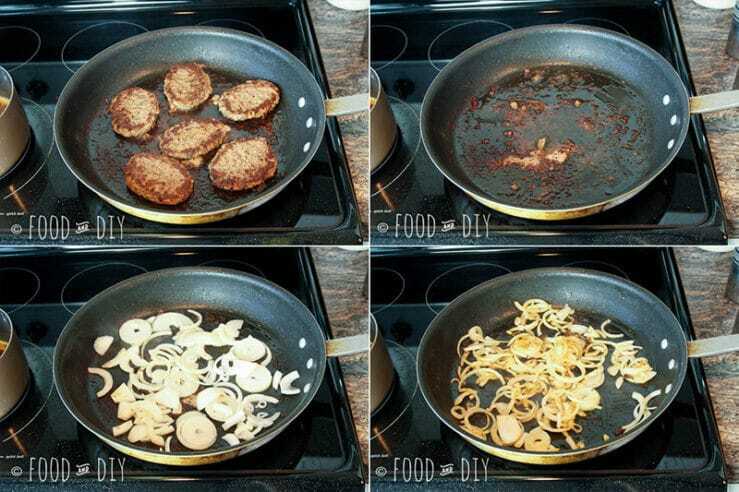 Once the onions are done, push them to the sides of the pan, add the patties back into the pan, cover with onions. 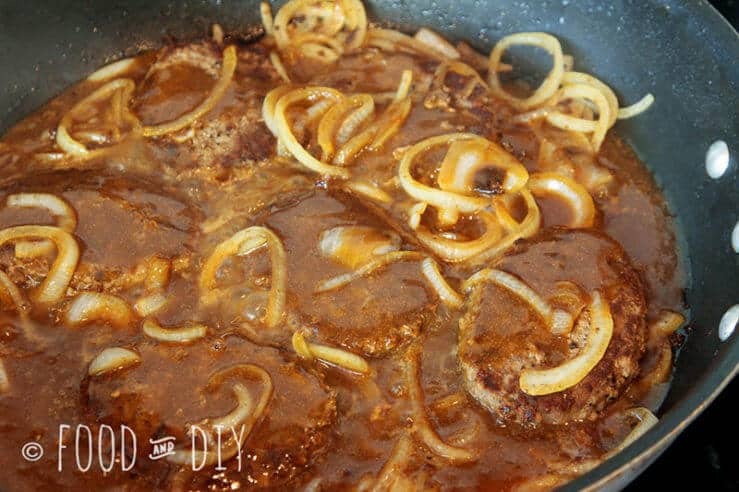 Pour the prepared gravy over the patties and onions. 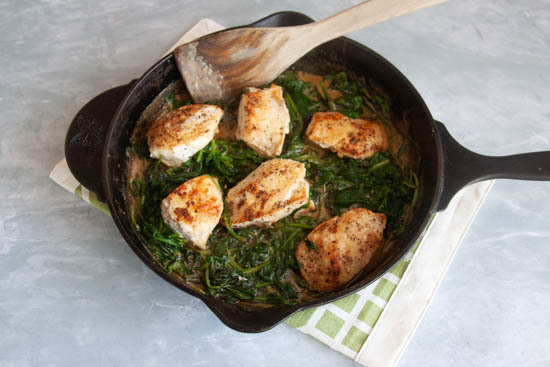 Serve with roasted veggies, mashed potatoes, or on a bun!